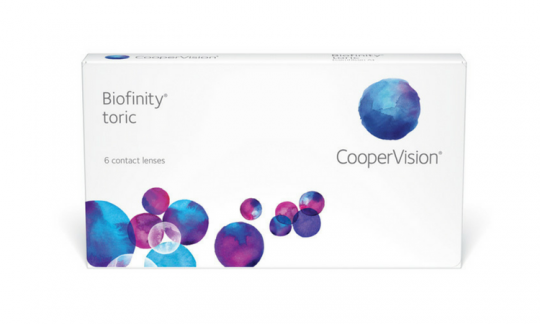 CooperVision Biofinity® Toric (3 pack) - A monthly disposable contact lens that corrects astigmatism. Aquaform Comfort Science gives a comfortable, wettable and breathable contact lens. With astigmatism, it is important that your contact lenses offer outstanding stability to overcome symptoms such as blurry vision. Biofinity toric contact lenses have optimised lens geometry that orientates consistently and predictably.